All who attended the funeral of Franklin’s Unknown Soldier will agree it was a truly memorable and dignified tribute to a fallen American soldier - one man who represents all those who lost their lives in the Battle of Franklin. 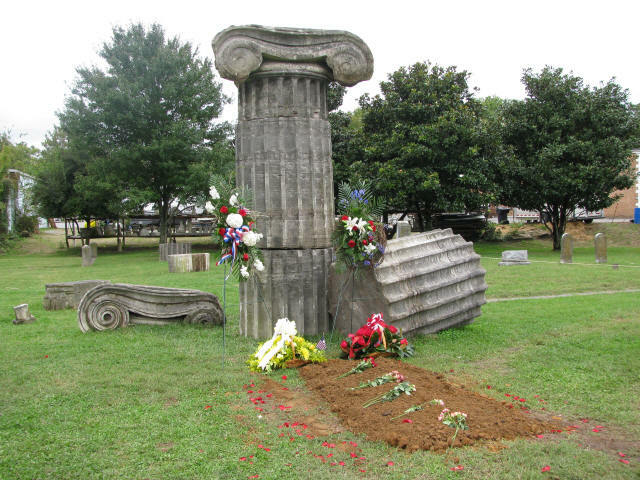 On your next visit to Franklin, be sure to visit the Unknown Soldier’s Grave and Monument at Rest Haven Cemetery - a location sure to be a focal point for future memorials and tributes. The monument was designed by Franklin’s own Robin Hood and is sure to become a must see site for all Franklin visitors. 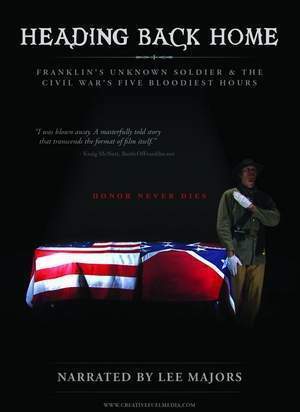 Heading Back Home: Franklin's Unknown Soldier and the Civil War's Five Bloodiest Hours chronicles the 2009 discovery of a Civil War soldier's remains in Franklin, Tenn. However, this film is so much more than just the story of the unknown soldier, it also tells the story of the historically overlooked Battle of Franklin, considered the bloodiest and most brutal five hours of the entire Civil War. As historian and author Eric Jacobson said after previewing the film, it tells the story of the Battle of Franklin like "it's never been told before". The detailed maps, Hollywood-like battle scenes, expert accounts, original music, and narration from legendary actor Lee Majors makes this something very, very special. Heading Back Home isn't just a lesson in history - it's a lesson in life. The film was written, produced and directed by the husband-wife team of Brian Speciale and Jodi Jones-Speciale.